Please add any comments or memories from the 40th Reunion!! Author bhafey76Posted on September 19, 2016 2,166 Comments on Memories from the Reunion! We welcome your memories, comments and suggestions for our 40th Reunion! Click “Leave A Comment” on the left or the title above. 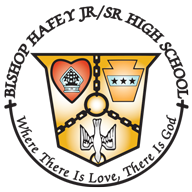 Author bhafey76Posted on July 12, 2016 5,807 Comments on Share Your Hafey Memories! funny facebook cover photos on Share Your Hafey Memories! nauka francuskiego on Share Your Hafey Memories! daftar sbobet on Share Your Hafey Memories! calgary landscaping maintenance on Share Your Hafey Memories! Bolsas guatemala on Share Your Hafey Memories!